Kodaikanal - 624 102, Tamil Nadu. Registrar - 1 Post - Basic Pay 37400 Academic Grade Pay 10000 in Pay Band IV category - Post Graduate with 15 years experience as Professor - Age 58 years. Controller of Examinations - 1 Post - Basic Pay 37400 Academic Grade Pay 10000 in Pay Band IV category - Post Graduate with 15 years experience as Professor - Age 58 years. 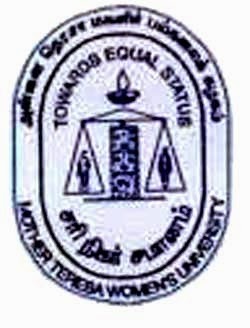 Fill the Prescribed Application form, enclosed all documents, including Demand Draft and forward to The Registrar, Mother Teresa Women’s University, Kodaikanal – 624 102, on or before 30th May 2015.